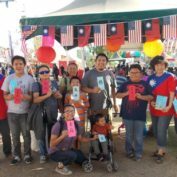 On October 21st, 2017, Phoenix Sister Cities hosted WorldFEST at the Arizona State Fair. 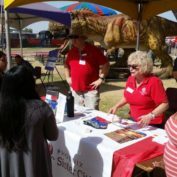 Phoenix Sister Cities had ten informational booths, nine of our sister cities committees and one for the Youth Ambassador Exchange Program. 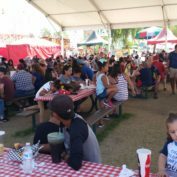 The event lasted from 11am to 6pm, drawing a diverse crowd to each booth. 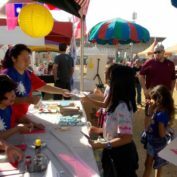 Many families learned about Phoenix Sister Cities at WorldFEST, additionally, children of all ages had the opportunity to interact and visit each booth by obtaining a “passport” and getting it stamped at each booth for a prize. 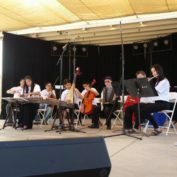 Around 200 children and parents participated in the event. 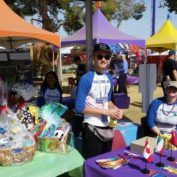 Phoenix Sister Cities had each committee put together a gift basket full of goodies related to their sister city. 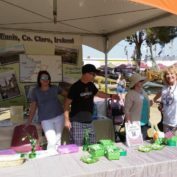 Individuals could then purchase tickets for the chance to win these baskets. 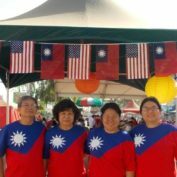 Phoenix Sister Cities also had entertainment performances that showcased the different cultures from our sister cities. The series of performances were greeted with enthusiasm from the crowd, particularly entertaining was the performance given by Zhigang Chen, a Chengdu Committee member, who performed his face-changing act. 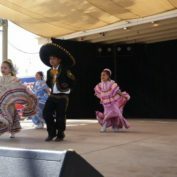 Other entertainment featured folk dances from Mexico and Chinese dance and music performances. 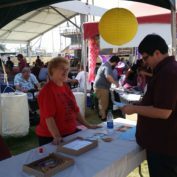 Phoenix Sister Cities’ WorldFEST was quite a successful event and greatly helped bring the promotion of our organization to a new audience as many attendees had never heard of the program prior to visiting the booths.